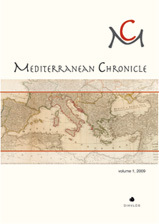 Mediterranean Chronicle is a new international refereed journal, working within the Department of of History and the Department of Archival and Library Sciences of Ionian University, with an Editorial Board comprised of leading scholars in the field of Humanities (History, Archaeology, Classics, Papyrology). MC aims at promoting a discussion on culture/s in the Mediterranean world focusing on the Greek and Roman worlds (Medieval-Byzantine culture will also be included). 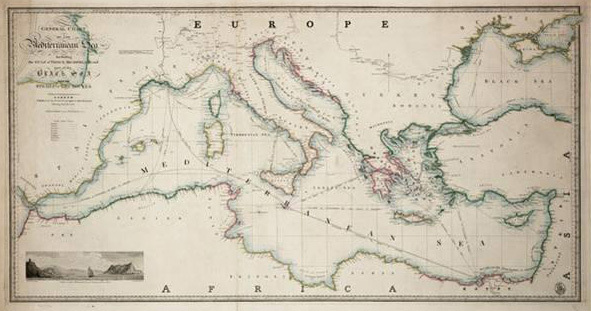 Papers that will present contributions in all the fields of Humanities concerning Mediterranean civilization will be published. MC will be published provisionally as one volume per year. We are happy to announce that the first four volumes (2011, 2012, 2013, 2014) have already appeared. Contributions are welcome in one of the following languages: Italian, Greek, French, English, Portuguese, Catalan or Spanish. All articles must be accompanied by an abstract of about 200 words.